You can try out StarWind V2V converter to convert your VMware VM to Hyper-V (Windows) VM. StarWind V2V does support Windows Repair (in case if the VM is Windows-based) and does have possibility to switch hypervisors (vmdk -> vhdx). 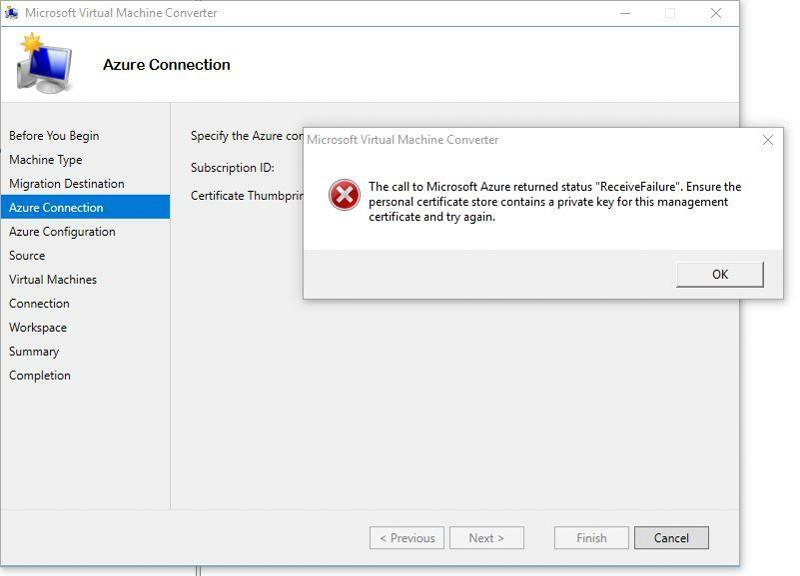 3) Turn off the VM and make a convertation from VMDK to VHDX using StarWind V2V to the mounted device from azure as the file destination. 4) Create new VM in Azure and mount prepared and converted VHDX to it. 2) Turn off and convert VMware VM to VHDX to some local repository. 3) Upload VHDX to the Azure using PowerShell or Azure Storage Explorer. 4) Create VM and mount uploaded VHDX. Microsoft Virtual Machine Converter is dead in the water since mid-2016. It's not supported, not maintained anymore and while you can find binaries still it can't do anything with VMware ESXi versions post 5.5 making it basically a no-go for modern environments. Stick with something from the maintained list, good up-to-date snapshot of what should be used instead of MSVC. It doesn't work anymore as the tool was retired. You can still use it to migrate to Hyper-V though and then manually upload the disk to Azure. If you have more than one VM to migrate, I'd suggest looking at Azure Site Recovery instead. I have done this via Azure Site Recovery Services. This link helps a lot. Not the answer you're looking for? Browse other questions tagged azure virtual-machines migration cloud microsoft or ask your own question. How to debug where an SSL connection is getting lost? Can Azure report ‘live migration’ events?